Knowing your way around digital photography is easy once you’re familiar with the layout of a basic digital camera and a few digital photography terms. 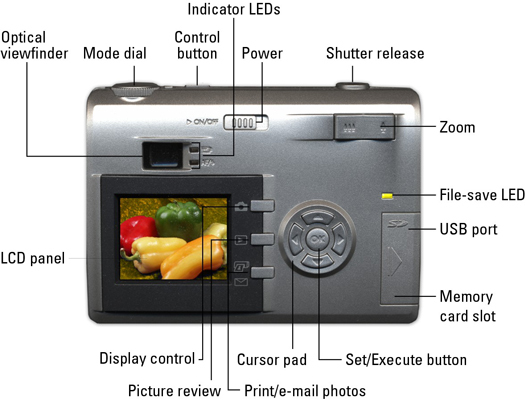 Front view of a digital camera. 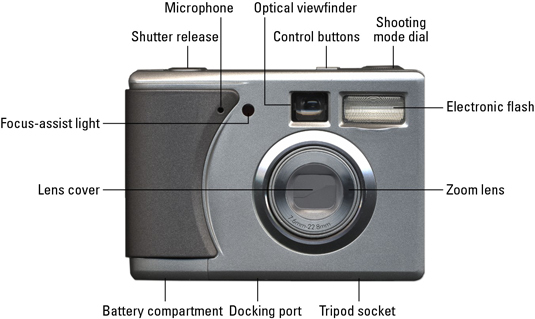 Back view of a digital camera.